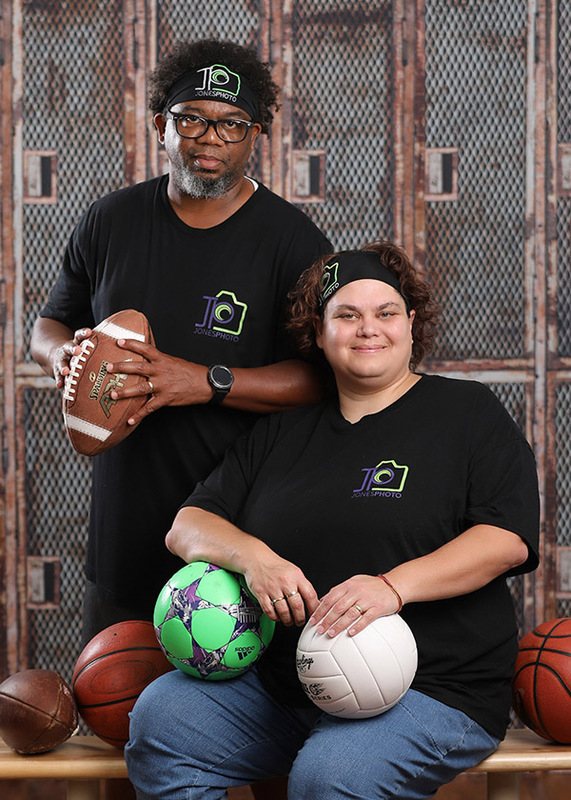 Willard & Shawn Jones are a husband and wife team that have been photographing sports for almost 15 years. Based out of a rural town in Western Kentucky, they are both full time studio owners who love what they do and enjoy it more than should be allowed. Come catch the excitement that is #TeamJones. Willard is the primary photographer, often seen on the sidelines of the game shooting actions and talking to the coaches and players. Shawn is more studio based and enjoys the sales and marketing aspect of studio ownership. Together with one full time staff person, they make up #TeamJones, a wild and crazy fun group who click well with athletes, moms, seniors and pretty much everyone. Learn how to free yourself from the massive data overload and learn how to shoot volume sports the easy way! No more worries with wind, rain or any weather issues! No more struggling with backgrounds that may or may not be large enough for a group! Kids that don't show up on time? No more holding up the entire team! Learn how to make team photo day the easiest thing ever. We will discuss pre-shoot procedures, data collection, products to offer, order forms, team photo set up day, equipment needed and how to set it up, how to shoot it, process it and everything you need to know to make a smooth team photo day.